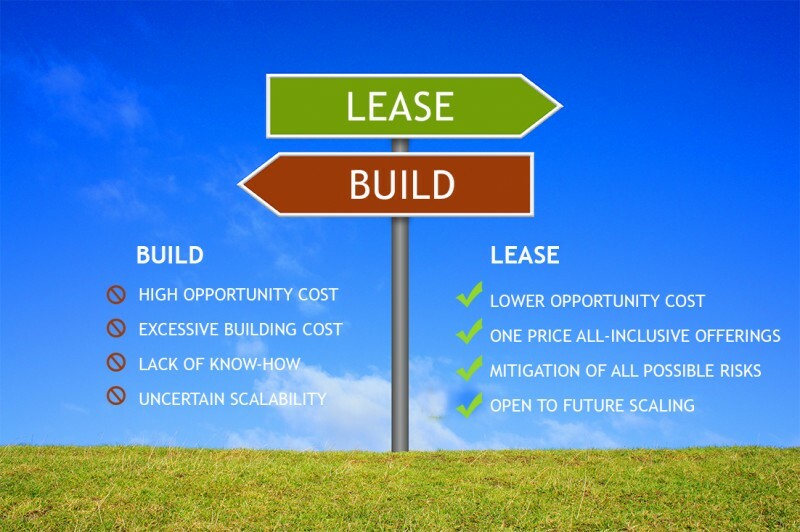 The question of “buying versus leasing” is a classic dilemma for many of us in the business world. The answer is not simple and the right choice may vary according to the priorities of each company. A Finance Manager will need to evaluate the effect of various scenarios on the P&L, the Balance Sheet, and calculate the tax impact of the various alternatives. At the same time, qualitative criteria may play a key role in the final decision. This process can become even more complex, when the above dilemma is related to a company’s valuable data and the query concerns the lease or construction of a data center. Now, let me share the following with you. – High energy consumption due to IT load requirements, increased cooling needs. – Shift staff to ensure the availability of infrastructure and thus unimpeded access to the data. – The need for large initial investments for its construction and then regular and extraordinary investments in fixed equipment. It goes without saying that investments such as these are characterized by considerable uncertainty as they are affected by technological developments. This type of information was imprinted on an economic exercise that showed a difference of € 1.7 million or 57% between the options of building or leasing your data center based on the Net Present Value in a 10-year time horizon. The economic assessment was clearly supporting the choice of leasing, via a colocation service provider. Among other risks, in the construction scenario, the company would take the risk of mistaking future requirements or simply changing them radically (which is not so unlikely in the ICT field). Adding to the above example, from 01/01/2019 at the latest, all entities applying International Accounting Standards will be required to use a new IFRS for leasing (premature implementation is allowed from 01/01/2018). This IFRS leads us to a depiction of rental expense which is far from today’s practice. The new standard replaces IAS 17 and facilitates users of Financial Statements, as the obligations resulting from leases will now appear in the Liabilities (lease liability) and not in the notes. At the same time, an Asset will be recognized that corresponds to our client’s right of use the underlying leased assets (property, cars, racks in a data center etc.). Recognition of leased assets will facilitate comparability between entities who chose to buy and those choosing to lease. The whole issue can be better explained with an example. Assuming a company leases property and the lease expires in 10 years, the Liabilities section will display a Lease Liability equal to the discounted value of the payments which will be made (assumption: 4% interest rate). The payments are equal to the rents of the decade, the planned adjustments to the rent, and any early termination allowances (if deemed probable) etc. – the cost of returning the asset to the condition it was prior to the lease. Subsequently, the P&L is affected as follows: the Right of Use is depreciated at 10 years (the term of the lease in our example) and the Lease Liability will increase interest charges. Our P&L will no longer include rental costs but will be affected by increased depreciation and interest expenses. Therefore, under the new standard, rental-related costs no longer affect Earnings Before Interest, Taxes and Depreciation (EBITDA), but are recorded in effective accounts below that (depreciation and interest expense). Note that the final result before tax will not be any different in the long run. In the short term, however, the application of IFRS 16 will lead to a different EBT compared to IAS 17. By returning to the dilemma of buying versus leasing a data center, companies that prioritize the size of EBITDA, should calculate the impact the OPEX will have if the “Data Center build/buy” option is selected. Depreciation from the investment and the associated financing costs do not affect EBITDA, but the maintenance costs and the costs of specialized personnel will affect it negatively. 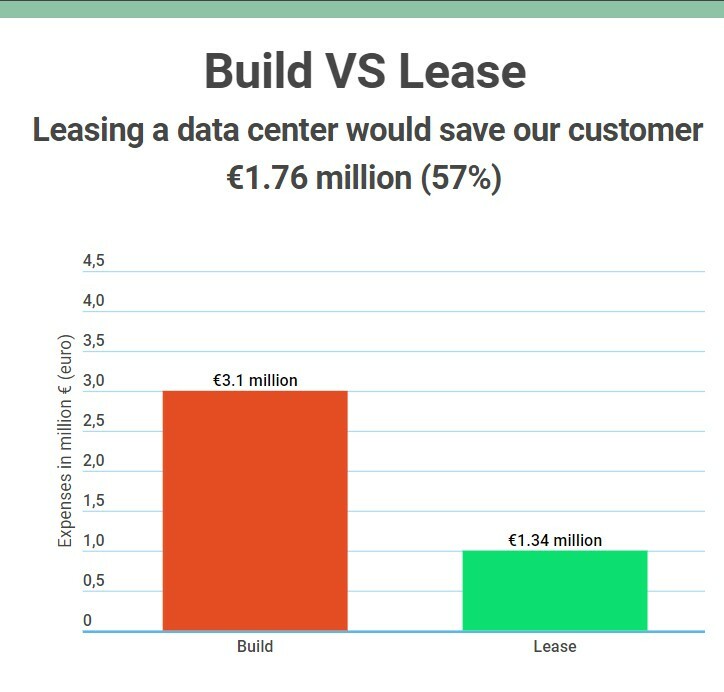 On the other hand, the choice of leasing (in the data centers this service is internationally called colocation and does not offer a take-over at the end of the lease) does not require financing and – depending on the details of the agreement – allows all costs associated with the lease to be booked below EBITDA. In the era of data analytics, advanced business intelligence tools such as the new IFRS 16 are expected to revolutionize the way Finance Managers reach critical business decisions. As far as colocation is concerned, the IFRS 16 will provide decision makers with a more practical view of both sides of the dilemma: to build or to lease a data center. In fact, it will help them depict that leasing data center services via colocation is now the only viable choice for any company looking to make a useful investment with significant expected return. – The cost of money. 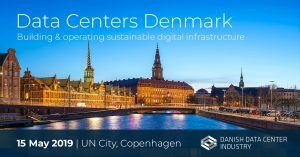 – The opportunity cost from not having to finance the creation of a data center. – The one-price all-inclusive offerings from a colocation provider. – The mitigation of all after-launch possible risks (need for add-ons with additional cost, security and safety issues, certifications, etc.). All the above make colocation the most suitable choice for the vast majority of organizations, in comparison to building a data center from scratch! Lamda Hellix provides a complete portfolio of data center services. In particular, the company offers Colocation, Business Continuity, Cloud & Managed IT Services, Data Center Integration and Consulting Services, and Third Party Data Management. The company has a privately–owned Data Center Campus with two certified and award-winning data centers in the wider area of Athens, making the geopolitical hub connecting Europe, Asia and Africa important. Find more about Lamda Hellix’s Colocation Services.